It’s not often the courts get involved in anything that impacts SEO. But it does happen. And you do hear controversy…but usually, it turns into a whole lotta nothing. In this case, the impact’s pretty far-reaching. If the judge’s decision is upheld, it could expose practically any website (and especially those with blogs) to costly lawsuits. Federal Judge Katherine Forrest (based in New York) found embedding a Tweet that includes a copyrighted photo could make you liable for copyright infringement. “Embedding” means you include a link with code from a third-party source that allows you to display their content. The story is that Justin Goldman took a photo of Tom Brady meeting with Boston Celtics general manager Danny Ainge in an attempt to lure Kevin Durant to the Celtics. Goldman uploaded the photo to Snapchat, where it went viral and was taken for use and embedding by a number of sports media outlets (Yahoo, Gannett, Time, Boston Globe, and many others). Judge Forrest rejected the argument that, if upheld, her ruling could affect millions of websites. And interestingly, her ruling goes against past precedents. You could possibly defend yourself from copyright infringement by arguing fair use. But of course, if you’re threatened as a small business, you would probably just back down to save yourself time and money. Judge Forrest also qualified her ruling a bit, noting that it’s not clear whether Goldman released his image into the public domain by posting it to his Snapchat account. And she also said limitations on innocent infringement exist. But nonetheless, her ruling contains far-reaching implications for the entire internet. Right now, you don’t have to do anything. No one has proven embedding someone else’s content constitutes copyright infringement. At the same time, since using images and media remains such a contentious issue, make sure you stay fully within the law to the best of your ability. If you take a screenshot of someone else’s work online, link back to their website and give them credit. You can paraphrase an idea without crediting the source. But if you quote it, again, link back. When you do use images, and especially stock images, make sure you buy them or have permission to use them. Some images can be used without mentioning the site you got them from – but make sure the website’s owner tells you that explicitly. If you’re supposed to buy the image, pay for it. But, for what it’s worth, remember that stock photos don’t do you much good in terms of attracting readership or paying customers. In fact, they usually hurt you. They might look cool sometimes, but they don’t necessarily improve your bottom line. And FYI – companies like Getty Images (who owns large stock-photo sites like iStockphoto) do sneaky and nasty things like installing special tracking code within their images. Then, if you copy, save, and use their image, they hunt you down and threaten you with a lawsuit – unless you pay their unreasonably high fee. White-collar crime at its best! For now, you can use the embedded content. But, exercise caution as I just described so you protect yourself. And, keep your eyes and ears peeled to this blog and others for updates on how this pressing issue might affect you. By now, you should have more content in your blog than you can easily keep track of. With content, it’s easy to get overwhelmed, confused, and out of your strategy. Plus, this topic doesn’t get discussed a ton. And then in small and local business, you already have more than your fair share of battles to fight. …Now I’m recommending you add another item to your list that gets longer every day? When all’s said and done, you want your content to grow your business, right? Otherwise, why do you create it? At the small and local business level, this is difficult. No one reads your blog post and excitedly dials your phone. That’s just not how content works for any business! In reality, they read your blog, email, e-book, or whatever. And they do this several times over the course of months, or maybe a couple years. Then, because they remember your information and find it so useful, they give you a buzz when they need your service. It’s incredibly difficult to measure the precise role a blog post plays in the purchasing process. You can drive website visitors from your blog posts to a landing page with a form or unique phone number. You could also do a correlational analysis. For example, when you notice an increase in your blog readership, you also see an increase in contacts on your website’s main contact form. But if you see a relationship, you know your blog plays a role. This isn’t easy to measure. And it can require a high amount of customization based on your business and content strategy. If you don’t get the traffic you want, this may mean you have an ineffective content strategy, no good way of promoting your content, the wrong type, or perhaps content that simply doesn’t interest your audience. It takes months to increase your traffic because Google takes months to index your content. And if you choose to promote your content actively, it can take months before your contacts actually publish their link to you. But if you’re consistent in content creation, you should notice an increase in traffic over time. This one tells you whether you hit the mark with your content itself. Basically, you want to see greater than a minute for a 500-word blog post. That puts you above average. And if you see a couple or several minutes for a blog post of any kind, you’re knocking it out of the park. In terms of topic selection, keep doing what you’re doing, and the traffic and sales will come. …So that’s kind of a quick poor man’s content audit. And remember, you may need to highly customize yours to accurately measure the effectiveness of your own strategy. If you have a thousand links today versus the one you had just a year ago, will you be far better off in search? It’s easy to think “more is better” with just about anything. But with links…more could be a total nightmare. So when your SEO informs you of a new link you have, should you jump out of your chair for joy, go home, and kiss your wife? Or should you simply raise your eyebrows in mild excitement? Honestly, …it can be hard to tell. A high-SEO value link is great to have, no doubt. But even better is one that drives you a flood of traffic. Because you ultimately want sales from SEO, right? And typically it works such that as you keep attracting links, you rank higher in the search engines, more traffic comes your way, and eventually, you have more sales. Well, a link to a well-read website short-circuits that process and gives you both the SEO value – and the traffic too. And you can get a massive gush of traffic and sales fast. …But, it’s exceedingly difficult to earn these types of links because you have to write one heck of an amazing piece of content at popular blogs that get bombarded by suggestions all the time. Google has to see that your new link comes from a website relevant to your niche. In the past, SEOs would simply bombard their clients’ websites with hundreds of thousands of links. These could come from all sorts of bizarre places from around the web…like payday loan sites, cell phone websites, and other regions of the web’s underworld. It was fine. It worked. …But it’s a complete waste of your time today. And in fact, it could get you penalized, which costs you more time and money. The more relevant the website to your niche, the greater the value of your link. Fortunately, both are easy to measure. You can use Moz’s online tool, or their Chrome extension. “Domain Authority” measures the domains that link to your domain, the number of total links, and then tracks them over time. Moz’s idea is to give you an idea of your website’s ability to rank high in Google in comparison to other websites. “Page authority” refers to exactly the same concept on a page-by-page basis. Small websites have a DA of 20-30. And they’re helpful. Large corporations everyone knows rank 90+. And large online brands that offer an amazing amount of value, but maybe that you haven’t heard of, are around 40-60. The more effort it takes to get a link on a website, the more reward you get from Google. Yes. Google prefers hard work. Let me clarify (and qualify) this concept a little. It stems back to how link building used to work. Back several years ago, an SEO might create an account at several internet forums and add your link to their signature. They’d go nuts posting messages on forums. But that’s easy…anyone can do that. Those links counted for quite a bit back in their day. Now, just a handful will get you in big, possibly irreparable, trouble. Compare that to writing a 1,500-word blog post at Forbes and getting published. …That takes a lot of work. 20-30 hours or so. And what if someone else posts your link in a blog post of their own? You did the hard work of creating and promoting a blog to the point where someone did your promotional work for you. Google doesn’t want to see posted links making up the majority of your link profile. They want to see you earning and winning permission from others. That means searchers value what you say. And that’s the type of site Google wants at the top of its search rankings. Not something that just about anyone can manipulate to the top. People read or watch what you have to say. And if you don’t offer enough value, they quickly turn you off, forget you forever, and go to your competitor. The more you do to offer valuable information your competitors do not, the higher and more secure you remain over the long haul in a search. Seems like all you ever hear on Twitter is people screaming their political opinions, isn’t it? Sometimes, you wonder how social media can even exist because it apparently adds absolutely no value to the world. And you suspect that’s so. But you aren’t exactly sure how to make it work for you. Look, we know that the more social shares you get, the better you rank. It’s not a perfect 1:1 correlation. But the two do have a strong relationship. What better way to position yourself for shares than by using the keywords people search to find content in your niche? Add them to your bio, which appears on your page when people visit you. That gives you a static, unchanging (and optimized) presence. And do the same for your Tweets too. Include your keywords. But don’t give your audience the impression you’re optimizing your Tweets. That sends them running the other way. Ever run into those Tweets you can barely read because literally, every other word is a hashtag? Instead, simply include 1-3 hashtags at the end of your post. The tool Hashtagify.me shows you the 10 most popular hashtags related to the one you enter. Twitonomy shows you the top 10 hashtags for industry influencers you search. Images and video increase your shares per Tweet. That’s according to Buffer data shared at Hubspot. More shares mean more clicks. And that results in stronger search rankings. Who doesn’t want something free? You probably have someone in your family who won’t pass up a free product or service. Even if they don’t need it! If you do a giveaway, make sure you offer something related to what your company does. Do this so you attract potential customers. If you run an HVAC company, you could give away an A/C unit cleaning or tune-up, for example. Some companies make the mistake of giving away a product unrelated to their business, like a gas card. People take the card. And never come back! With your poll, you can go many routes. You could spark debate. Ask your customers about their preferences (this doubles as free market research). People love to give their opinions. You do them a favor by offering them the opportunity. Truthfully, you don’t need to use any of Twitter’s paid options to improve your SEO. But if you have the budget, it helps. You can create promoted Tweets that appear to users who don’t actually follow you. You can do the same for your entire account. Twitter lets you precisely target your audience so you get the most value out of the promotions you run. So now, instead of letting Twitter be the place you go to get angry about other people’s political opinions, you can use it to drive your SEO (and revenue) through the roof! So, continuing our discussion on social proof, you have many more ways than just the 2 discussed in the last post on this topic. The more social proof you can get on your website, especially if you’re a small, local, or new business, the better. You really can’t overdo it. All your social proof works together to create a convincing case you’re the best solution for solving your customer’s problem. “Media” doesn’t have to be NBC, the Washington Post, or CNN (although it certainly can be). It can be any recognized authority in your niche. For example, if you speak or present at your local Chamber of Commerce. Or if you get quoted in the Dallas Morning News. The more you have, the better. You could make this a narrow band of 10-15 mentions if you want. Think sources like CNN and the Washington Post would never mention you? You can absolutely get them to mention you. Of course, this isn’t a guarantee. However, the website Help a Reporter Out gives you just such an opportunity. When you sign up (for free by the way), you subscribe to a few different email lists of your choosing. Then, you get various inquiries that ask for interviews, quotes, and opinions on questions. 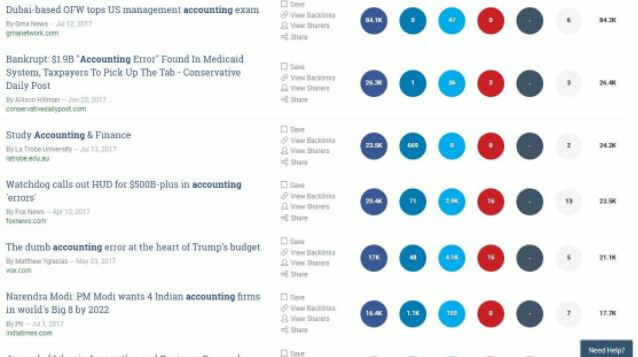 And yes, the biggest media sources in every niche frequently use HARO. These little graphics still matter. Except for the BBB, it’s rarely worth your time to join an organization just for the credibility boost on your website (unless you have other business reasons for doing so). But, the more you have, the better. In terms of effectiveness, these don’t rank as highly as other techniques discussed. But, they’re quick and easy to add to your website. And they help. Make sure you have trust seals from all professional organizations you belong to. Except for the BBB, they can be located pretty much anywhere on your homepage (usually half to all the way down). If you accept payments on your website, display the logos of credit cards you use – right at the moment, your customer clicks the button to pay. Include the logos of companies or media organizations where you’ve been quoted. And if you have recognizable customers you’ve served, use their logos also (assuming you have their permission!). Again, these can be placed little ways down your home page. You could also create an entirely separate page for this, but make sure you integrate the most notable ones into your homepage. These generally apply to e-commerce sites that sell products. But some niches (law and HVAC for example), have many sources for customer reviews and ratings. This could include Google reviews, Avvo (for lawyers), or Angie’s List and Houzz for various contractors. If the review discusses one of several services you offer, make sure that review appears on the specific page you created to sell that service. Don’t just dump your reviews all on a single page, like many SMBs do. Customers do not visit those pages frequently. These can be really tough to get at the SMB level. Building a dedicated online following takes tons of hard work. Getting decent numbers of shares on your blog posts, or views can take well over a year (and even longer). Or, building your Facebook following can take a similar amount of effort. But, you may have a significant number of blog post views or social media shares you’re proud of. In that case, place links to follow you on Facebook (see our Facebook advertising services) that also shows your follower count. If you have a blog, you can install widgets that show the number of views your posts have. Do you need every one of these elements? But, the more you have, the better. And the newer or less recognized your business, the more they help. If you’re an established local SMB, you still need them. While some people know and trust you, many don’t. You don’t have instant recognition unless you’re a local celebrity. You don’t need to dedicate all your energy to this. But at least a portion of your marketing efforts should work on building social proof over time. The more you have, the easier it is for customers to choose you. You post like a maniac on your company’s social media profiles for months at a time. What’s more demoralizing than spending months on a project, with no results to show for it? That’s the way social media works for many SMBs. So, how do you spend as little time on social media as possible, while still generating valuable results, like orders and leads? Believe it or not, even though it’s called “social” media, the greatest value for small businesses rests not in posting but listening to what your customers and competitors say. For example, what are the hot topics in your niche? You can use what you discover to learn new marketing angles. What do other company’s customers complain about or praise their favorite companies for? You know exactly what to do, and not do, as a result. Keep your eyes and ears peeled for mentions of your own company. Search for hashtags using your company name on Twitter. Review your Google reviews and Facebook profile for comments. Any aspect of internet marketing can quickly take over all your time. With social media, use Buffer, Hootsuite, or CoSchedule to share content and consolidate monitoring of your social channels. Google Analytics helps you track performance. Feedly and e-mail subscriptions to your favorite content in your niche give you all you need to share. Share 4-6 posts per week on Facebook. Share 3-4 per day on Twitter. Go with 1-2 per day for LinkedIn. Engage in a few ways on your active social media channels. Like some content (but only if you find it genuinely interesting and useful for your own followers). Comment. Ask questions. And always respond to any inbound messages, public or private. Consider randomly reaching out to a Facebook follower and rewarding them, and then acknowledging that publicly to generate interest. Because you can only advertise once you have a rock-solid understanding of your customers and how social media works for your company. You don’t have to advertise incessantly to get customers. You have to understand them and learn what they’re most likely to respond to. Every business is different. You have your own approach. Once you have down what you do, make it a checklist. Then, rinse and repeat on a daily basis. Set yourself a time limit to encourage the smartest use of your time. Do not break that boundary under any circumstances. When you find yourself getting more results than you can manage, then it’s time to consider hiring someone to manage your social media. The internet is loaded with skeptics. And it should be, shouldn’t it? Any random sociopath person can call themselves an “expert” overnight. How do you know you can trust them, instead of someone else? As you know, internet searchers will do their research. They want to find as much evidence as possible to support their inkling that you’re the best person or company to solve their problem. And you can build their trust with what’s called “social proof.” This is evidence, which doesn’t originally come from you, that boosts your credibility and shows you can deliver on the promises you make. How can you include social proof on your website so you aren’t simply just another company or even a good choice, but the obvious choice? For SMBs, case studies fly way under the radar. Practically no one uses them. But large corporations do. And they shell out a couple thousand dollars to have them written and designed persuasively. You don’t need to do that. But case studies work for every customer type. And they work especially well for service-based companies. 500 words do the job. 1000 – 1500 words offers intimate detail and a highly convincing story. Don’t mention your company throughout because that makes your case study look like advertising. Make your customer the hero. And then include a 2-3 sentence paragraph at the end. Case studies are powerful enough to have their own main navigation item which appears on every page of your website. Every SMB has these. But the way they implement them leaves so much more room for opportunity. Well, that’s what your website readers do when they see that anyway. They’ve seen testimonials saying exactly the same millions of times. But customers don’t write testimonials describing that, do they? Offer to write the testimonial for your customer yourself. Then, send it to your customer and let them approve it. This works. But it’s not ideal because testimonials are more convincing when customers use their own language. Yours will come across as written by an experienced professional. Do a 15-minute interview. Record it. Write the testimonial and use words and phrases your customer uses verbatim. Then send it to them to revise or approve. Is this worth your time? Other testimonials amount to just putting words on the page. These tell a brief story (just like case studies) which is a powerfully convincing sales tool. To maximize their effect, place them strategically throughout your website (see our web design services). Don’t bury them on a “Testimonials” page. No one reads those. You might as well not even put them on your website if that’s what you do. Look, the nice thing about the web is that you have nearly infinite opportunity for creativity. So, that means these are just a couple ways to integrate social proof to score more sales. That also means much more exist. I have time for just these two today. So stay tuned. More coming soon! Do you do the same SEO fundamentals nearly every other business does? That’s a recipe for achieving the same results. Those results may not be bad. But how will you ever get ahead of your competition? So let’s say you’re an SMB. You have little time or money. What SEO tactics can you use to get ahead, without sinking a lot of time or money into them? As long as you provide the original source, it’s fine to use other people’s content on your blog. You’ve probably experienced information overwhelm, right? Your customers do too. So, make their lives easier and include links, excerpts, videos, podcasts, and images of the most useful content in your niche. This makes you a valuable resource for your visitors. And it doesn’t take nearly as much time as creating your own content. Some think infographics are past their prime. True…they’re not the new shiny thing they used to be. But they still work quite well. And you can create one, regardless of your niche. That one probably costed them several thousand dollars. You’ll have to outsource them. But they don’t have to cost a lot – especially when you factor in the SEO power you get in return. 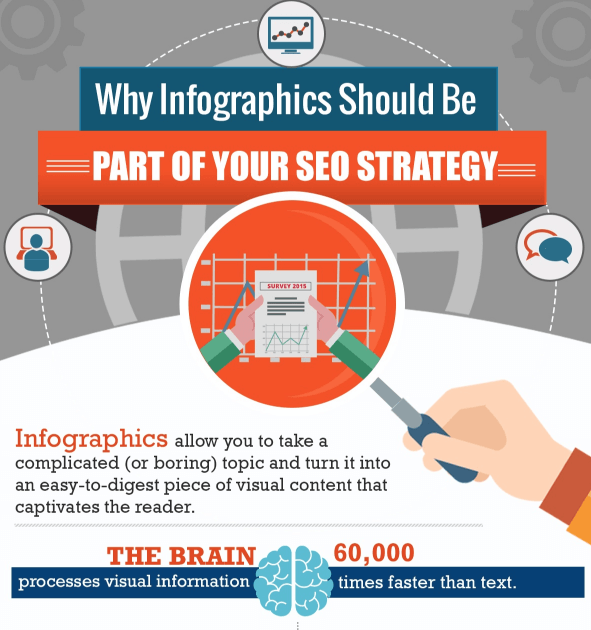 Infographics work best for service-based businesses. And they’re effective for companies that sell products too. What could a website like this possibly have to do with helping you get serious SEO juice? Let me explain how HARO works. First, you sign up for free at their website. Then you choose categories where you have interest. For certain niches, HARO makes total sense. You’ll build connections with small, medium, and even household-name brands. And just a few links from big names can be total game-changers. People trust content generated by users much more than that created by businesses. Your business could have an agenda and a completely biased position. Whether you actually do or not doesn’t matter. People naturally assume you do. But when other users create content, those assumptions go out the window. They assume the user has a more objective, and possibly completely unbiased, view. User-generated content is unique, which attracts more user attention, and rewards from search engines. Which Makes Most Sense for You? I’ll be honest…not every SEO technique above works for every business. For example, if you’re not a persuasive writer, you won’t get as much from HARO (although sometimes they ask for phone interviews). So you have to consider what strengths you and your business have, and then use the right techniques that make the most sense for you. Once you hit on the right ones, you get an incredible return on your SEO for the time you invest.